Apple CEO Tim Cook opened a new startup hub at the University of Oxford on Wednesday called The Oxford Foundry. The facility, based out of a Victorian building previously used as an ice factory and a student night club, has been backed with a $1 million donation from LinkedIn founder Reid Hoffman. It will aim to support entrepreneurial students as they look to set up and grow their own companies. The Oxford Foundry — a part of the university's Saïd Business School — will be open to all students, as well as Oxford alumni. There will be an exclusive startup accelerator programme where students with the best ideas will be housed and given mentorship. Speaking at the launch, Louise Richards, vice chancellor of the University of Oxford, said The Oxford Foundry is "going to build on the entrepreneurial skills of 23,000 students across the university." Cook told students about his own university experience, before passing on a few words of wisdom. "By the time I was in Duke [University] I had begun to think what is my purpose in life," he said. "I was struggling with a lot of things personally and professionally at that time. It began to dawn on me then that the purpose of life wasn't to love your job but to serve humanity. The outcome of that would mean that you'll love your job. NPR How I Built It - Zappos: Tony Hsieh [Business] (Soundtrack) Computer scientist Tony Hsieh made millions off the dot-com boom. But he didn't make his mark until he built Zappos — a customer service company that "happens to sell shoes." Now Zappos is worth over a billion dollars and known for its completely unorthodox management style. NPR How I Built This - Virgin: Richard Branson Richard Branson took a record shop and built it into a label, a bank, an airline, space tourism, and 200 other businesses — all under the name Virgin. But the serial entrepreneur has also had his share of failures. An interview with billionaire and founder/CEO of Amazon, Jeff Bezos. In this interview, Jeff discusses innovation at Amazon and how he keeps talented employees. Jeff also talks about buying the Washington Post and his vision for space and Blue Origin. Books on Jeff Bezos and his favourite books are located at the bottom of the description Like if you enjoyed Subscribe for more:http://bit.ly/InvestorsArchive Follow us on twitter:http://bit.ly/TwitterIA Other great Entrepreneur videos: Larry Ellison's in depth interview on his Life and Success: http://bit.ly/LEllisonVid Jeff Bezos on Amazon, Business and Life/Work:http://bit.ly/JeffBezosVid Bill Gates on Business, Microsoft and Early Life: http://bit.ly/BillGatesVid Video Segments: 0:00 Introduction 1:28 What happened with the fire phone? 2:40 Mistake with the phone? 4:53 Can Amazon make money? 7:30 How to not be profitable and have a high stock price? 8:12 When is losing money too much? 12:08 6 hours a year on investor relations 13:17 What do you tell employee when the stock goes down? 15:01 Keeping employee’s at Amazon? 16:34 Keeping employees with low pay and no extras? 20:32 How dependent is Amazon on you? 23:10 Succession plan? 23:30 Hiset fight 24:50 Future for authors 30:07 Competition and focus 35:51 Drones 37:00 Will everyone else but the US will get drone deliveries? 37:27 Changed outlook on life since turning 50? 38:08 A book written on you? 38:49 The comment from your wife? 40:08 What are you like as a dad? 42:50 Why did you buy the Washington Post? 46:41 Why are you optimistic about the newspaper industry? 48:29 The vision for space? Jeff Bezos books (affiliate link) The Everything Store:http://bit.ly/EverythingStoreJB One Click:http://bit.ly/OneClickJB Jeff Bezos Favourite Books The Remains of the Day:http://bit.ly/RemainsOfTheDay Sam Walton: Made in America:http://bit.ly/MadeInAmericaJB Memos from the Chairman:http://bit.ly/MemosChairman The Mythical Man-Month:http://bit.ly/MythicalManMonthJB Interview Date: 15th December, 2014 Event: Business Insider's Ignition 2014 Original Image Source:http://bit.ly/JBezosPic Investors Archive has videos of all the Investing/Business/Economic/Finance masters. Learn from their wisdom for free in one place. For more check out the channel. Remember to subscribe, share, comment and like! No advertising. Olaf Carlson-Wee is the founder and CEO of Polychain Capital - http://polychain.capital/ Aaron Harris is a Partner at YC. Elon Musk talks about cars, space, energy, risks of A.I. and gets a standing ovation at the National Governors Association Summer Meeting. July 2017. Sam Altman sits down with Reid Hoffman to talk about the key changes founders should think about as they transition from a startup to a scaleup. This conversation took place at The Scaleup Offsite, a private CEO gathering hosted by Y Combinator Continuity and Greylock Partners in April 2017. A interview and Q&A with the founder of the seed accelerator giant Y Combinator, Paul Graham. In this interview Paul talks about six principles of startups that would be helpful to those looking to start a business. Paul also talks about why it is not always a good idea to start a startup and the opportunity cost if you do. Books by Paul Graham and his favourite books are located at the bottom of the description Like if you enjoyed Subscribe for more:http://bit.ly/InvestorsArchive Follow us on twitter:http://bit.ly/TwitterIA Other great Venture Capitalists videos: Marc Andreessen: Venture Capital Investment Philosophy:http://bit.ly/MAndreessenVid1 Billionaire Chris Sacca on Investing, Venture Capital and Life:http://bit.ly/CSaccaVid1 Billionaire Peter Thiel on Entrepreneurship, Innovation and Competition: http://bit.ly/PTheilVid1 Video Segments: 0:00 Introduction 0:43 Startups are counter intuitive 2:28 Startups are weird 4:05 You can trust your instincts about people 5:25 What you need to succeed in startups, is not expertise in startups 11:00 Starting a startup is where gaming a system stops 14:22 Startups are all consuming 16:00 You don't have to start your startup in university 19:09 There are some things you can only do in your 20’s 21:41 Starting a startup is hard 24:20 The way to get startup ideas, is not to think about startup ideas 31:07 Just learn 31:18 Start o Q&A 31:38 How can a non-technical founder contribute to s startup? 32:40 Do you see any value in business school for entrepreneurs? 34:32 Managing the first two or three people? 36:20 Are we currently in a bubble? 37:51 People are starting startup labs 39:13 Advice for female co-founders when pursuing money? 40:32 What would you learn in college right now? 41:34 What are your recurring system that make you efficient? 43:20 When is a good time to turn a side project into a startup? 44:01 How to decide if you have explosive growth? 44:43 What kind of startups should not go through Y combinator? 45:42 How to figure out what matters? 47:19 If you hire people you like you might get mono culture, how do you look for blind spots? Paul Graham Books (affiliate link) Hackers & Painters:http://bit.ly/HackersPainters Paul Graham’s Favourite Books The Art of War in the Middle Ages:http://bit.ly/ArtOfWarMA Civilisation:http://bit.ly/Civillsation Medieval Technology and Social Change:http://bit.ly/MedievalTech Penguin Atlases of Ancient and Medieval History:http://bit.ly/PenguinHistorical Interview Date: 30th September 2014 Event: Stanford University, How to Start a Startup Original Image Source:http://bit.ly/PGrahamPic Investors Archive has videos of all the Investing/Business/Economic/Finance masters. Learn from their wisdom for free in one place. For more check out the channel. Remember to subscribe, share, comment and like! No advertising. The conclusion of the day long event at our Palo Alto office on March 10, 2017. Presentation and Q&A session with Uber co-founder and CEO Travis Kalanick. Moderated by senior director of engineering Komal Mangtani, who is the executive sponsor for Uber's LadyEng group. Sam Altman and Craig Cannon go through questions submitted on Hacker News. To submit a question for Office Hours, send an email to Macro@YCombinator.com with a few sentences of context and your question. 0:10 - As a B2B company how do you get sales outside of your network? 1:55 - Should you go to meetups? 3:01 - How do you expand your network? 5:25 - When founding a startup, is being a college student an advantage or a disadvantage? Does it matter at all? 9:01 - How can a student with no technical background go start a startup? 9:59 - How can a nontechnical person vet a technical person? 10:45 - What should people do when they're not technical but want to build some technical skills? 11:12 - Why do you think crowdfunding for startups hasn't kicked off as well as hoped? What sort of pitfalls have startups in the space encountered that you know about? 12:51 - What do you think is the best way to create impact/maximize potential impact on the world for a high school student developer? 15:45 - How did Sam go about finding what he and the world values? 19:30 - With VR/AR on the rise, how do you think it's going to impact the startup community? 22:02 - How do you know if you're technical enough to build great products? 22:49 - If you were an important but non-founder employee at a startup and your company were to be acquired, how would you approach the process of integrating and insuring success between the companies? And how would you evaluate the acquiring company to decide if it's worth staying? Episode Info In 1968, competitors sued to keep Herb Kelleher's new airline grounded. After a 3-year court fight, the first plane took off from Dallas. Today Southwest Airlines operates nearly 4,000 flights a day. Episode Info A chance encounter with a stranger gave Joe Gebbia an idea to help pay his rent. That idea turned into Airbnb — a company that now has more rooms than the biggest hotel chain in the world. NPR How I Built This - Instagram: Kevin Systrom & Mike Krieger Episode Info Kevin Systrom and Mike Krieger launched their photo-sharing app with a server that crashed every other hour. Despite a chaotic start, Instagram became one of the most popular apps in the world. Larry Page & Sergey Brin - Founding Google Google's original homepage had a simple design because the company founders were not experienced in HTML, the markup language used for designing web pages. Google began in January 1996 as a research project by Larry Page and Sergey Brin when they were both PhD students at Stanford University in Stanford, California. Beginnings of Google It began with an argument. When he first met Larry Page in the summer of 1995, Sergey Brin was a second-year grad student in the computer science department at Stanford University. Gregarious by nature, Brin had volunteered as a guide of sorts for potential first-years – students who had been admitted, but were still deciding whether to attend. His duties included showing recruits the campus and leading a tour of nearby San Francisco. Page, an engineering major from the University of Michigan, ended up in Brin's group. Airbnb Co-founder/CEO Brian Chesky sat down with Ashton Kutcher, actor and entrepreneur, at this year's Airbnb Open in downtown Los Angeles to discuss how to navigate unfamiliar territory, spot business opportunities, and innovate for success. Jack Ma of Alibaba talks about his early failings and struggles before Alibaba became worth billions of dollars - -How he didn't come from a strong background in wealth, higher education, or status - how he couldn't get any venture capital investments - how he didn't have the praise or trust of bankers and big businesses who would help out a small business during the stock market crash - how Alibaba went from small start-up to billion dollar e-commerce giant in Chana From: Davos Interview - I was rejected from Harvard 10 times & Stanford GSB 2015 Interview with Jack Ma & 1999 Alibaba IPO Jack Ma Original Sales Pitch _____________ -Subscribe to University of Common Knowledge Today- Get an Online Education for Free without getting a Degree Videos about: -Executive Leadership -Business management and organization -Words of Wisdom -Biographies of Famous People -Social Media Marketing and Strategies -Sales Incentives and Best Programs -SEO Services and Training -Practical Knowledge for the Social Web -And More! In the fourth episode of Please Hold, Service CEO Michael Schneider chats with Ryan Hoover, CEO and founder of Product Hunt, about building and being part of a tech community, his path to success, and the tricky pronunciation of LaCroix. In this episode, we'll cover: 1:36 What is your favorite game, and what do you think the future of gaming will be like? 5:03 Why was being a product manager so helpful in your path to becoming a CEO? 7:07 The Product Hunt story. When did you know this was a viable business idea? 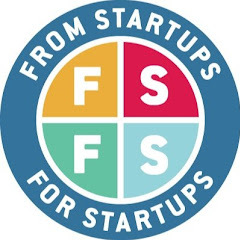 8:50 Why is email such a valuable tool for startups? Who started out as just an email list? 10:24 What’s it like to raise money for a product that doesn’t have a plan for monetization? 12:00 Why create a limited availability product? Why not have everyone able to… product hunt? 13:05 What were the criteria? How did you cultivate this community? 14:30 What was the experience of being a solo founder? 15:50 What’s the coolest thing to come out of Product Hunt? The most absurd? 18:55 Ryan covers a smart, simple idea to come out of Product Hunt. 20:33 What's with all the mystery boxes? 22:07 Why do people feel so passionate about Product Hunt? 23:18 Ryan talks about his experience with Service. 24:00 What do you see for the future of customer service? 25:51 What role will bots play in the future of customer service? 27:20 What’s customer service like at product hunt? 28:40 What’s it like having a partner who is in the tech space also? 29:58 How important is it for a CEO to be active on social media? 32:29 How exactly do you pronounce LaCroix? What's your flavor? 35:27 Ryan talks about his involvement with the new Apple series Planet of the Apps. By Blackbird Ventures and Startmate. More videos and info at http://thesunrise.co The Sunrise is a startup conference presented by founders, for founders. It brings together Australia’s most successful tech leaders to tell stories from their beginnings. They talk about the pivotal decisions, the big mistakes, the near misses and the ah-ha moments. Their tales are embarrassing, exhilarating and inspiring. Description: LinkedIn NYC is thrilled to welcome LinkedIn Influencer and internet famous social media master Gary Vaynerchuk to our offices for LinkedIn NYC’s Local Edition of the LinkedIn Speaker Series. As a leading innovator in social media, entrepreneurship, startups, and family businesses - join us to hear Gary’s take on where the world is going when it comes to business, upcoming trends, and more. Kevin Systrom is one of the most successful entrepreneurs of his generation. By developing a product that delivers on what people want in a unique way, Instagram changed how hundreds of millions of people take and share photos. In this class, you'll learn the importance of reading between the lines to build a business based on what people want. H'University is an educational program designed to help young people learn real-world skills from world-class entrepreneurs. The curriculum is made up of an engaging series of webinars taught by professional superstars. For college students and recent graduates, we also offer opportunities to connect with the country's most innovative companies for jobs and internships. Learn more about H'University: huniversity.harrys.com Subscribe now to Harry's channel: https://www.youtube.com/channel/UCugL2rOcVU9DxicZJLJ9beg Shop Harry's: http://www.harrys.com Harry's Magazine: http://fiveoclock.harrys.com/ Harry's Instagram: http://instagram.com/harrys Harry's Facebook: https://www.facebook.com/hapostrophe Harry's Twitter: https://twitter.com/harrys Harry's Google+: https://plus.google.com/+HarrysGrooming/videos About Harry's: We built Harry’s to make shaving better every day. We started by making our own shaving products of the highest standard that customers would be proud to use, and selling them directly to customers on Harrys.com. We hope that Harry’s can make shaving more enjoyable for people, making them feel prepared to take on the day. This is session 18 of Technology-enabled Blitzscaling, a Stanford University class taught by Reid Hoffman, John Lilly, Allen Blue, and Chris Yeh. This class features Reed Hoffman interviewing **Brian Chesky**, the Co-Founder and CEO of Airbnb. This is session 16 of Technology-enabled Blitzscaling, a Stanford University class taught by Reid Hoffman, John Lilly, Allen Blue, and Chris Yeh. This class features Reed Hoffman interviewing Reed Hastings, the Co-Founder and CEO of Netflix. This is session 11 of Technology-enabled Blitzscaling, a Stanford University class taught by Reid Hoffman, John Lilly, Allen Blue, and Chris Yeh. This class features John Lilly interviewing Patrick Collison, the Co-Founder of Stripe. Michael is currently a full-time partner at Y Combinator. Previously, he was a co-founder and CEO of Justin.tv from 2007 - 2011 and the co-founder and CEO of Socialcam in 2012. During 2012, Socialcam participated in Y Combinator, raised angel financing from a group of amazing investors, and sold to Autodesk Inc. for $60m (link). Needless to say - it was a busy year. In 2014 Justin.tv became Twitch Interactive and under the leadership of Emmett Shear and Kevin Lin sold to Amazon for $970m. Mark Suster sits down with Ryan Hoover, CEO of Product Hunt, to discuss its rapid ascent as a destination for the startup community, as well as his journey founding the company. SXSWedu 2015 Featured Session If I Knew Then What I Know Now Guy Kawasaki, Canva Chief Evangelist Entrepreneurial education is booming. It is no surprise given the desire of today's generation to collaborate, create and contribute to social good. Join this session for intensely passionate and personal observations about life's hindsights and what today's educators can do to prepare students for a lifetime of joy, enlightenment and contribution to society. Lyft's John Zimmer joins Pando's Sarah Lacy on stage for PandfoMonthly. Stewart Butterfield, founder of Flickr and the latest Valley darling Slack, joins Sarah Lacy on stage for PandoMonthly in San Francisco. In our newest Foundation interview, I spend some time with Squarespace founder and CEO Anthony Casalena. Anthony provides a fascinating look at the Squarespace ideation narrative, and the company's short-term and long-term goals. Jessica Livingston is a founding partner at Y Combinator. She is also the organizer of Startup School, the big annual startup conference, and the author of Founders at Work, a collection of interviews with successful startup founders. Y Combinator was the first of the new startup "incubators" that fund a bunch of startups at once. Since 2005 YC has funded over 560 companies, including Dropbox, Airbnb, Stripe, and Reddit. For more information visit http://StartupGrind.com or follow us on twitter @StartupGrind. ***Startup Grind is an event series and website designed to help educate, inspire, and connect local entrepreneurs. Each month we welcome an amazing speaker who shares their story with our community and tells us what worked, what didn't, and what they'll do differently next time. It's an amazing opportunity to learn from the best, network with other members of the startup community, and improve your chances of entrepreneurial success. Hangout With Elon Musk and Sir Richard Branson moderated by Googler Yonca Brunini. Hangout conversation covers the leadership lessons Elon and Sir Richard have learned over their years in running their businesses. Kevin Rose interviews Kevin Systrom, Founder of Instagram. Kevin Rose interviews Chris Sacca, Founder of Lowercase Capital. In this series premiere of Foundation, Kevin Rose interviews Jack Dorsey, the creator, co-founder and chairman of Twitter and the CEO of Square. The conversation talks of entrepreneurship, decision making, trial and error, and the path Jack took that lead to the creation of Twitter and Square.